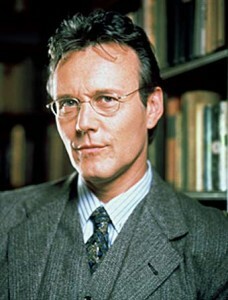 In “Buffy,” Giles (full name Rupert Edmund Giles) was first the librarian of Sunnydale High as well as Buffy Summers’ second watcher (after the movie). He is also Buffy’s father figure and the resident occult expert in everyone’s fight against evil. After his firing in Season 3 and the destruction of the school at the end of that year, he was unemployed in Season 4 before running The Magic Box occult shop in Seasons 5 and 6. He moved to England in Season 6 but returned occasionally in Seasons 6 and 7. Giles’ father and grandmother were both watchers, but he rebelled in his youth and became an amateur magician until he and his friends inadvertently caused the death of one member of their magical group. After becoming Buffy’s watcher, he developed a close bond with her that led him to defy the Watchers’ Council to save her life (and thereby his employment was terminated). Giles returned to England in 2001 because he saw that Buffy, now an adult, was relying on him too much after her (second) resurrection in the beginning of Season 6 and was not yet mature and independent. Later, after Willow tried to destroy the world at the end of that year out of grief, Giles came back to Sunnydale and brought her to England for rehabilitation. 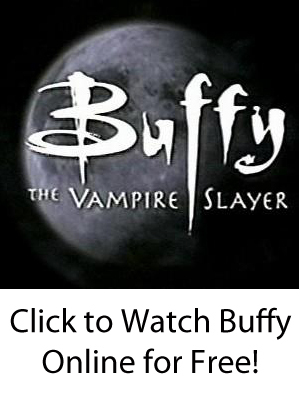 In Season 7, Giles played a key role in gathering the world’s potential slayers to protect them from the evil plans of the First Evil.